A business blog should be used to target your customers. You have a demographic that you are trying to reach, and you must be certain that you have spoken to those people through the blog so that they will find your site in online searches. Write about things that your target audience wants to know about. You’ll also want to write the blog posts almost like longform ads, and do not go off-topic. Boosting website traffic is simple if you have a blog that people want to read. The blog itself should be filled with keywords that will increase website traffic, and you should use the blog as a place to talk about sales, specials, or events that are coming up. Talking to your customer base about upcoming events and new products helps draw them to the site because the keywords used for these things will capture the public’s attention. You could use the blog as a way to brand yourself as an expert. People need to know that you know what you are talking about, and you can give them a daily or weekly dose of information to prove that. You could write up case studies on the industry that you work in, or you could build a schedule of great content that is released every day based on a theme. 4. What About Marketing Blogs? The marketing strategy that you choose should include content marketing based on keywords and small business trends that impact your brand. The goal is to make people find that they need to read your site to get specific information. You could even invite guests authors to write for you. Just be sure that you have created a small business marketing plan that uses the combination of guest columns, trends, and expert brand information to be successful. Small business owners in the process of growing their businesses need to find as many ways to market themselves as they can. The blog that you start should have many components. Remember, you are reaching out to people who would shop with your company. Speaking to them in terms that will educate them and build a community around your brand is the way to go. You must be certain that your business blog uses plain language that educates the public. You are trying to show people that you are the expert. 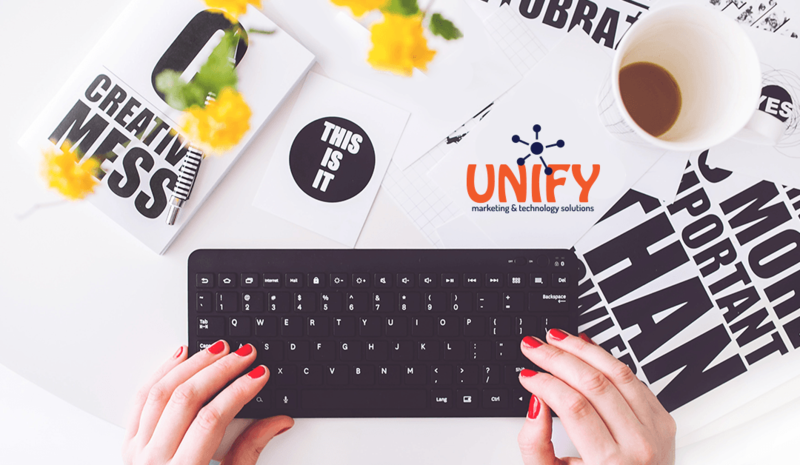 All these little things add up when you work with UNIFYmts on your blog and online marketing.